HipKids™ presents after school Music, Movement, and Art classes with a cool vibe to kids ages 6-10! In our music classes, kids jam and perform! They learn hands-on, playing songs they love, exploring professional instruments and equipment with cool, experienced teachers as role-models. Rock n’ Roll 101 couldn’t be more fun! Kids can’t help but get up and dance in our movement classes! They catch the beat grooving to hit tunes they love, and learning dance essentials through funky moves. Our skilled teachers build confidence as they encourage and inspire! Kids in our classes see art, love art, and create art! They delve into art technique and explore various media. Finding inspiration from the masters, our talented teachers instill art appreciation and motivate students to make their own creations. Hip Kids™ bands together with InHomeJams™ to provide a modern take on music education. Unlike traditional music lessons which are steeped in reading and technique, today’s kids benefit from a method that expedites the learning process and gets them making music with other like-minded kids. Our proprietary Rock N Roll 101 curriculum is at the core of our program. We believe that kids have so much more fun learning an instrument when they play songs that they like. In each one of our classes, we adopt the-song-is-the-lesson approach, which lets the student absorb musical skills and concepts that are hidden within the framework of classic and modern pop and rock songs. We help every kid find their inner-Rocker! Specifically designed for the 6-10 age group, the KidzRock™ and Jr. Rockerz™ classes allow a child to experience the ultimate musical accomplishment within a few weeks; singing, playing, and performing in a rock band! Kids take turns playing drums, keyboards, and a custom 3-string guitar, and singing original songs with lyrics they write! Each song is broken down to it’s bare musical bones and students master new challenges in technique, rhythm, melody, song form, ear training, and improvisation all the while playing hit songs with their peers! In KidzRock, kids really learn and kids really rock! Parents are invited to attend the last class for a rockin’ concert! Hip Kids™ teams up with Kidcasso™ to offer superb, fine art education to children in a loving, creative, and safe environment. In each one of our classes, children inspire, design, and create original works of art to propel ideas, build confidence, and positively enhance the community. 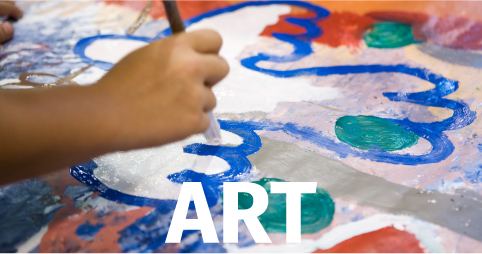 Each lesson is created from the National Art Education Standards, Process-Based learning styles, and the Elements and Principles are art and design. Provided with high-quality supplies for exploratory learning, children can experience working with various media such as watercolors, oil paints, and clay to create work in both 2-D and 3-D. In Artology™ class, children get a special curriculum designed for 6-10 year olds who are interested in art. Each week the teacher will introduce the students to a new artist, material, and element/principles of art and design. From Van Gogh to Kirchner, students will explore the world of fine arts through painting, drawing, collage, and sculpture. Each week students create pieces to build their portfolio for the last class art show. Artology is a true mix of learning and creating! Parents are invited to attend the last class for an art show of students work!